Thanks for the great review, jjaspitfire. It was a pleasure serving you as a customer. Thanks for the great review, Sarah. It was a pleasure serving you as a customer. Thank you to each and everyone of the staff at Penrith storage king, we found everyone at all times to be nothing but very friendly and helpful with every situation that come up. Thanks for the great review, Georgina. It was a pleasure serving you as a customer. Been storing with these guys for a few years very happy with the service Thanks to Michelle and Staff would recommend highly. Thanks for the great review, Ant. It was a pleasure serving you as a customer. Quick and easy ... thanks for the great service. Thanks for the great review, Gary. It was a pleasure serving you as a customer. Friendly team, easy to deal with, would recommend if looking for a secure storage space. Thanks for the great review, Jodi. It was a pleasure serving you as a customer. I have been storing my business items at Storage King Penrith for nearly ten years. I had cause to approach them again just recently to acquire a further unit. They were professional, courteous and very helpful. Would recommend them to anyone. Came in and brought storage king bags and boxes the bags are fantastic thanks Michelle for helping me with the boxes and bags I recommend storage king Penrith to anyone great customer service thanks again to the lady Michelle I will be back again. Great service. Friendly & helpful. It was a pleasure to do business with Michelle & Peter. After trying all the storage places in Penrith, I ended up coming back to these guys and have stayed for over 10 years. they are always happy to go above and beyond. Very caring and friendly. Super helpful and great prices. Will reccommend to all my clients. Good place to store friendly staff was happy with the service highly recommend this place thanks to Peter Michelle Amanda and Ashleigh always a friendly face my wife and myself appreciate all your support with our move. Professional, extremely helpful! All staff have been more than excellent and the rates for storage are great. Would recommend to family and friends. All emails, phone calls and personal interactions I had with the staff of Storage King were constructive, courteous and helpful. Getting the unit and moving in was simple. Especially given the use of the Storage King truck and lift system within the storage space. The storage space itself was perfect for what we needed. I'd be very happy to recommend Storage King Penrith to anyone. Massive thanks to all the team. Amazing and friendly staff.. easy and convinient access..best storage place in Penrith Area.. Andy and Anne..
Been storing with Storage King Penrith for many years on and off have always found the staff to be very helpful clean site good price to store I recommend Storage King Penrith Michelle, Peter and Staff to anyone needing storage. I've really enjoyed storing my items at Storage King Penrith. I had a 3m x 3m storage unit with its own light. I got a fair price locked in for a reasonable period. I will use them again next time I need storage and highly recommend them at Penrith as their service is quite good. Could not be happier with the service and professionalism from Storage King in Penrith. The team are friendly, and accommodating wherever possible. Easy 24/7 access, if you have any queries just ask and the team will accommodate wherever possible. Highly recommend for a safe and secure storage. Peter, Michelle and team of Storage King Penrith are extremely supportive and have greatly assisted us with the storage and a collection of items. The entire team at Storage King Penrith have been a delight to deal with and we appreciate their ongoing support of our charity. Such helpful and friendly staff here!! They also have very competitive rates. 100% happy!! We have been with Storage King for a number of years now and have always found the service of the staff very helpful. Great place for what I needed and the team there have been very helpful to me.. thanks so much. You are highly recommend. .. Storage King Penrith offer very competitive prices, have many options, are well located but most of all the friendliness and service from the Manager and all his team is of an exceptional standard. From my very first telephone call for a quote to exiting my garage, the entire team were an absolute pleasure to deal with. The 1 month free promotion was also very attractive and hard for any competitor to beat. I would have no hesitation recommending the Penrith business - the benchmark for storage businesses. Thanks again Neil. Great customer service, very helpful and informative. Have operated a business out of Storage King Penrith for 14 years. Staff have been excellent in assisting with every aspect of receipts and despatches of our goods. Highly reccommended!! When I was in high school I was studying Business and I had the opportunity to go out into the world and see what it was like to be in a Business. I was chosen to go to Storage King Penrith. I worked directly with most of the staff members helping them with different tasks they need me to do. I have remained in a friendship with one of the staff members, Shelly Rudd. She showed me all the ropes in the week I was there for. My family and I have since been back to equipment and will remain to do that in the future. They are very friendly, helpful and the service was amazing. I would recommended this business to anyone. Many thank's to all the staff at storage king Penrith, great service and rates. Would highly recommend to anyone looking for storage. The staff were super friendly and very helpful. Great value storage too. I have found the staff to be courteous and patient in meeting one's requirements. There is a wide product range which ensures cost efficiencies for the space utilised. I'll be back again. Second time around even more impressed... great customer service answers to all questions. Upgraded to 5 stars. Service was excellent, great staff and very helpful ! Defiantly would recommend. 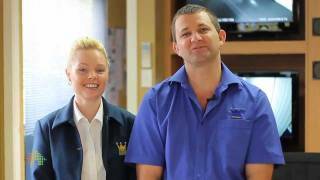 If service is what you are looking for Penrith storage king is the place. All the staff at the Penrith branch are so helpful and accommodating with all your storage needs. I don’t think ‘No’ is in there vocabulary. Thumbs up to the staff at Penrith storage king. Very happy with storage king penrith great value for money, Michelle was very helpful right from the start and I have had the same treatment each time I go there. Would definitely recommend them. Great place to store good value for money staff very helpful and pleasant. Thanks to Storage King for their help and generosity in finding fast adequate storage for our pre-loved toy drive for charity held recently. Oustanding service and friendliness! The service was fantastic from every one I had the pleasure of dealing with. You have a great team. And the process to allow an over flow unit if unsure of required size worked great for our needs. Perfect storage space for a great price. Excellent customer service. I look forward to storing with them soon! Top Storage facility, good price, top service I recommend it. Highly recommend +++++ Queen of Hearts Community Foundation has been supported and always assisted with any of our storage needs. Storage King Penrith is a purpose built self-storage facility catering for the convenience of commercial and domestic customers. Our storage solutions not only encompass secure self-storage space, but also supplying packaging material to protect your valuables and convenient transportation of these precious goods into our facility. Storage King Penrith proudly services Cranebrook, Jordan Springs, Werrington Downs, Cambridge Park, Werrington County, Kingswood, Emu Plains, Emu Heights and Jamisontown.